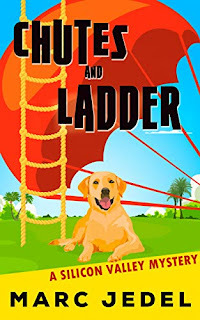 Buy Chutes and Ladder to login to a fresh, funny mystery today! More deadly funny business has wise guy and wannabe ace detective, Marty Golden, tracking clues and helping police solve a multi-jurisdictional case. On an overnight camping trip with his niece Marty literally trips over the dead body of his friend and poker buddy. As usual, Marty’s life is chaotic already, but he is sure he is on the trail to finding the killer. Marty keeps plucking at loose ends and driving everyone he interviews nuts. I enjoyed this fast-paced humorous, mystery just as much as Uncle and Ants. Marc Jedel keeps the intensity while keeping the comedic activity constantly bubbling. His writing is clever, and the plotting is meticulous and exceptionally well-executed. Many of the same characters that were introduced in Uncle and Ants are back but the author does not fail to introduce new wacky minions to the ensemble, along with a new girlfriend and his crazy cousin. This book is a gem with its great plotting and unusual cast. I highly recommend it! 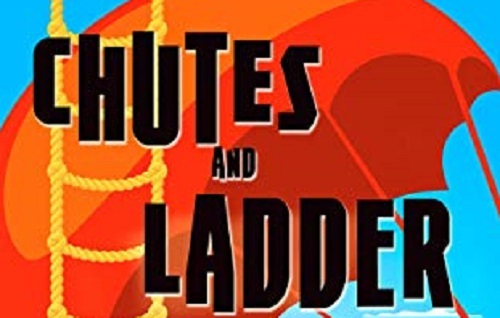 I was provided with a complimentary copy of Chutes and Ladder and am under no obligation to publish a favorable review. Wow! What an awesome review. I'm so glad you liked it and hope others enjoy it as well. At www.marcjedel.com, people can get the first chapter FREE for UNCLE AND ANTS (book 1) or CHUTES AND LADDER (book 2) and find out about special offers simply by signing up for my newsletter. Folks that haven't read UNCLE AND ANTS (book 1) can buy it for only $0.99 at Amazon (free for Kindle Unlimited readers). With CHUTES AND LADDER releasing in mid March, this is a great chance to enjoy Uncle Marty, his family, and go along for the ride as he bumbles through the investigation to a surprising ending. Great cover and title. Glad to see it's a great book too.